Red, green, white and frost Christmas lights! 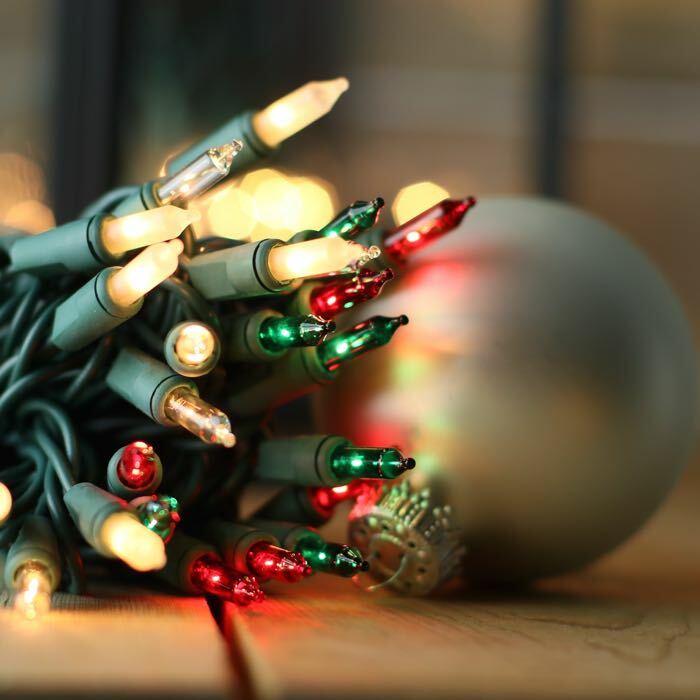 These red, green, white and frosted Christmas light strings are constructed with 100 bulbs spaced 4 inches apart and are just over 34 feet long. With green wire, they are a great choice for decorating your Christmas tree and are a nice complement to gold ornaments and bows. 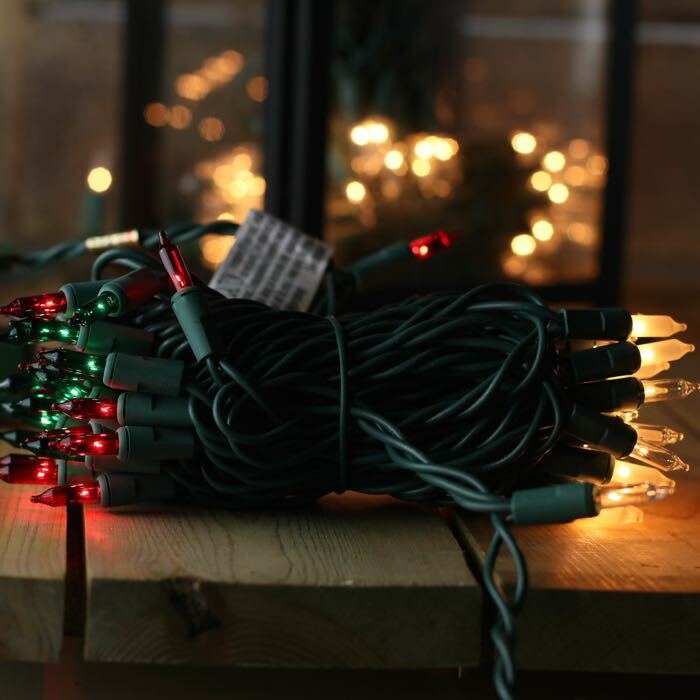 Don't forget to order enough lights to accent your garland and any wreaths where you have access to a 120-volt outlet. Use these lights on their own for a fantastic Christmas display or mix the solid color strings in white and red providing folks driving by with a robust light display. We love the traditional look of these lights and think they work great as Christmas tree lights on vintage and traditional trees - especially the kind decorated with children's art and treasured ornaments. These lights are sold primarily in November and December but work well as part of Mid-Century Modern rooms mixed with objects oversized bowls and containers. You can run up to 5 sets of lights in series and each set comes with 2 replacement bulbs and a replacement fuse. Be sure to remember to save the replacement bulbs that come with these sets. If you need to run more than 5 sets, use another extension cord or splitter. Do not exceed the maximum rating of your breaker. Be sure to plug your lights into a surge protector. Confirm it s rated for outdoor usage if your lights are part of an outdoor Christmas display. Lovely mini lights. We bought 15 strings and all arrived in full working order. We love the look of multi-colored lights, but wanted something different. These pretty red, green, clear and frosted lights definitely set the Christmas mood! After searching everywhere for these lights I finally found them here and even with the shipping cost it was still cheaper to buy than anywhere in canada. Shipping was fast, everything worked upon plugging in. We are very happy with this company and our light purchase. Q: Hello, Are these strings clipless? A: These light strings do not have clips built into the bases. See our sculpture clip category to see clips that will work with this light set. Measure your frame to determine the right-sized clip for your project. Q: If one light goes out, do the others stay lit?